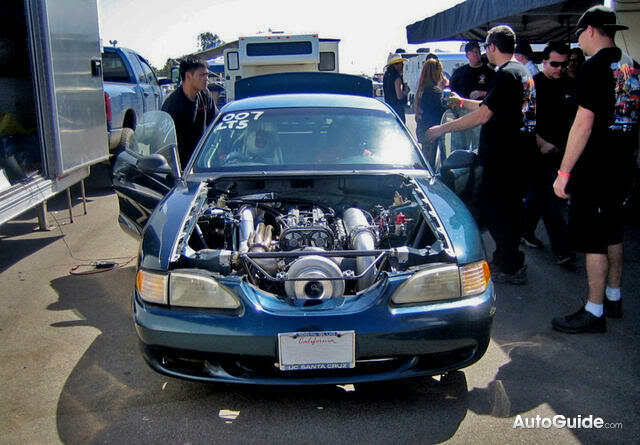 the Toyota Supra 2JZ-Powered Ford Mustang of Jaw’s Gear and Axle and we finally have some results in. 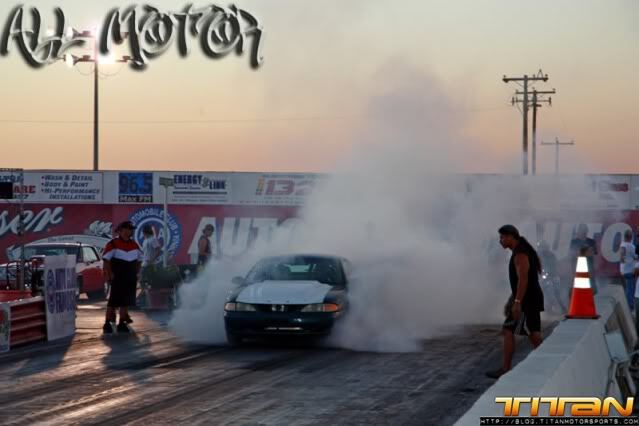 Recently the vehicle was taken to Bakersfield for the SCE Summer Nationals at Famoso Raceway with no prior testing. Weighing in at 3,530 lbs, Jaw’s Gear and Axle opted to race in two different classes in order to get in as many runs as possible hoping to dial-in their Ford Mustang hybrid. Their qualifying efforts required a lot of fine-tuning and tweaking, but they settled in on the first night with a fastest time of 9.630 @ 145.93 mph. They knew they had a lot more in the car and that an 8-second pass was surely possible before the weekend of racing was over. 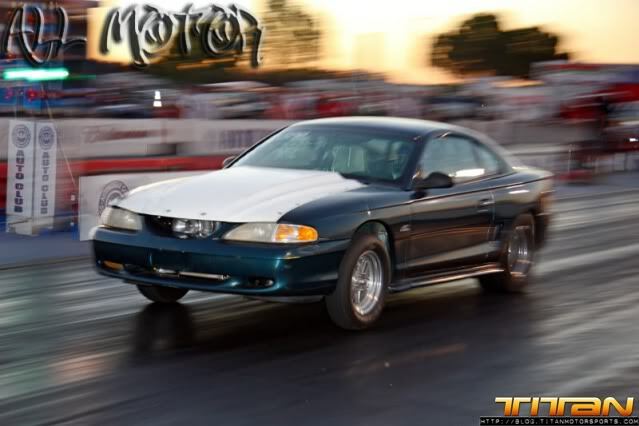 Through some luck, they were able to make some rounds in order to continue competing with their Mustang, netting a new time of 9.159 @ 157.45 mph in the second round. As the night started coming to a close, the Jaw’s team found themselves in the finals making it an already successful debut for the Mustang. But they wanted more, perhaps knowing they wouldn’t get an event win, they still aimed for an 8-second pass. So despite losing the final round, they were able to achieve their other goal of tripping the lights at 8.962 @ 159.37 mph at the end of the quarter mile. It’s a great starting point for the Mustang and clearly the car has a lot of potential. It’ll be exciting to see how many more domestic enthusiasts have their eyebrows raised from this unique Ford Mustang Hybrid. Very clean install/fab work! Nice! yeah i thought it was very cool and different,i came across it on the titan motorsports page. the fact that it runs high 8's badass,but i bet mustang owners across the world are pissed that a lil inline 6 (sewing machine engine) is in a muscle car!